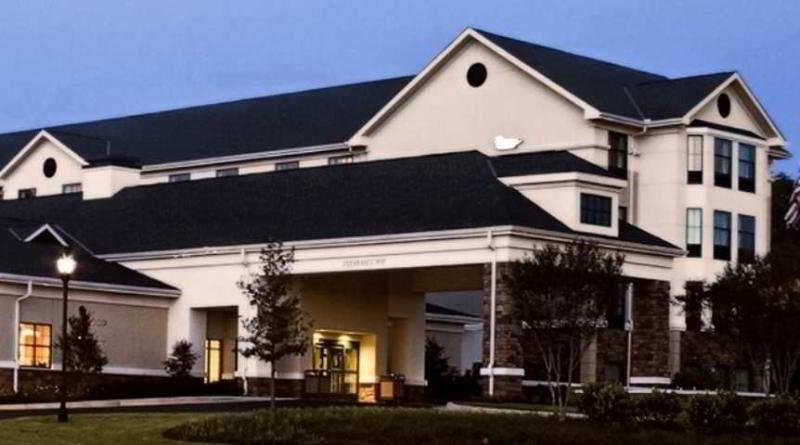 The hotel in Columbus-North is located just minutes away from Fort Benning, the National Infantry Museum, the Columbus Park Crossing Mall and the city centre area. The hotel is passionate about taking good care of its customers and that's why it offers a broad range of services and amenities including conference facilities to make every guest's stay exceptional. Breakfast is served in the breakfast room. 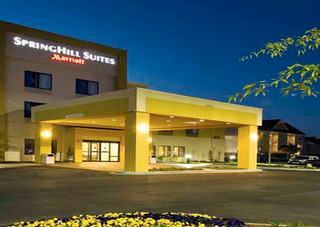 Guests can take advantage of the Internet access and room service provided. Vehicles may be left in the hotel's car park. 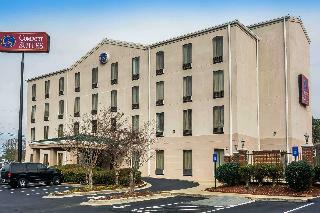 The hotel offers spacious rooms that feature a double or king-size bed and all the standard amenities. The hotel offers guests an outdoor swimming pool with sun loungers and a fitness centre. Guests can tee off at the Green Island Country Club golf course located around a 14-minute drive from the hotel. Golf course - 7.500 Km. 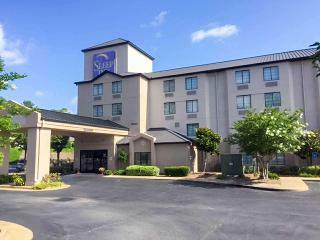 All-suite hotel in Columbus, GA features spacious one-bedroom suites with a host of features, like fold-out sofa beds and kitchenettes. Every suite includes Wi-Fi access and separate spaces for working and relaxing, as well as a wet bar and pantry. Flat-panel TVs with 15 HD channels are ideal for winding down in the evenings. The property is also close to major corporations, like TSYS, Aflac and Synovus. 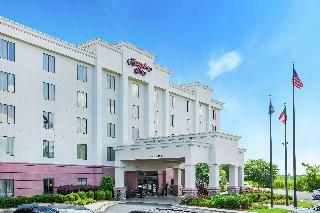 For a relaxed Columbus experience, head over to Columbus Park Crossing Mall, which is 0.5 miles away. The hotel has partnered with Maxx Fitness, 1.8 miles away, to provide guests with an upscale workout option in addition to the on-site swimming pool and intimate exercise room. Professional meetings and intimate wedding receptions are right at home in the 551-square-foot event room. It is perfect for business or pleasure travellers. 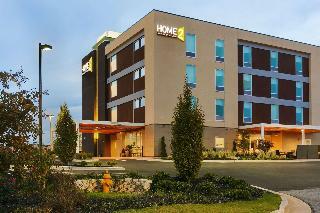 This modern suite hotel is conveniently located just minutes from Downtown Columbus and within easy reach of Columbus Metro Airport. 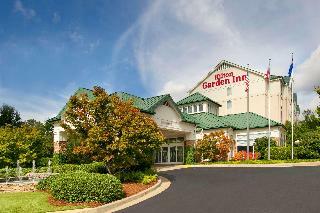 It is just a short drive to Fort Benning and the fantastic local restaurants and shopping malls are just minutes away. Families might enjoy a visit to the nearby Coca Cola Space and Science Centre and Chattahoochee River. Each stylish eco-friendly suite features contemporary design with movable furniture, storage space, living area with sofa bed and a fully equipped kitchen. 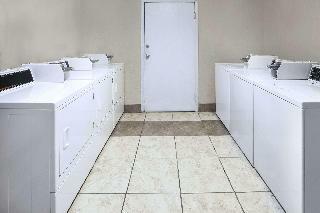 Business facilities include free Wi-Fi and PrinterOn wireless printing. Other amenities include a docking station, work area and media hub. Guests can work out at the state of the art fitness centre, do some lengths in the heated indoor pool and enjoy a complimentary breakfast buffet at the Inspired Table breakfast bar. Winner of the 2014 TripAdvisor Certificate of Excellence Award.